Cape Town - The medals for the 2018 Commonwealth Games were unveiled by the Gold Coast Commonwealth Games Corporation in Australia over the weekend. They were designed by Queensland-based Indigenous artist Delvene Cockatoo-Collins and have been brought to life by the Royal Australian Mint, the official supporter and producer of the GC2018 medals. Delvene focused her designs around the beautiful coastlines and the significance of the coast as a place of gathering, meeting and sport. The medal ribbon's inspiration was taken from the woven strand of the freshwater reed, yungair, which are three reeds woven to form a pattern which resembles many triangles joined together. Around 1 500 are being created for the Games, with winners also set to receive placegetters. 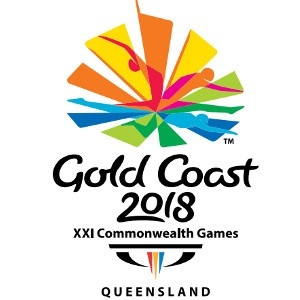 The 2018 Commonwealth Games at the Gold Coast takes place from April 4-15, 2018. Unfortunately, Team South Africa will be without 400m world record holder and Olympic champion Wayde van Niekerk. Van Niekerk recently underwent a successful knee operation after tearing his ACL ligament and will be out of action for at least six months, meaning he will miss the Commonwealth Games. At the 2014 Commonwealth Games in Glasgow, Team South Africa finished seventh on the medal table picking up 40 medals, which included 13 gold, 10 silver and 17 bronze.